Home / BlackListIRGC / Iran / Iran Elections / Iran Nuclear Deal / IRGC / MEK / Sham Elections / Iran Election: What Is The Message Of Ahmadinejad’s Disqualification? The latest major development in Iran’s presidential election came recently as the Guardian Council, the body in charge of vetting all candidates based on their loyalty to the ruling establishment, disqualified all but six, including former president Mahmoud Ahmadinejad. Understanding the importance of this issue is vital to comprehend Iran’s future. While Ahmadinejad’s disqualification was foretasted by many, such a development stands out as unprecedented in Iranian regime history. Especially considering how he enjoyed the all-out support of Supreme Leader Ali Khamenei during his two tenures from 2005 to 2013. In 2005 Khamenei set aside former Iranian president Ali Akbar Hashemi Rafsanjani and engineered the polls with the Revolutionary Guards to have Ahmadinejad selected from the ballot boxes, much to the surprise of many. Following the 2009 uprising, sparked after Ahmadinejad’s reaching the second term, and his regime near the cliff, Khamenei placed all his weight behind Ahmadinejad, describing the 2009 presidential poll unparalleled across the globe and in Iran’s history. To this end, the recent disqualification of Ahmadinejad is considered a major defeat for Khamenei, and thus the entire Iranian regime. Currently, the regime in Iran is engulfed in a conglomerate of crises. This is exactly why Khamenei most probably first resorted to privately suggesting to Ahmadinejad not to participate in the polls. As word leaked out, Khamenei was forced to indirectly raise the issue without specifically mentioning Ahmadinejad by name. When Ahmadinejad shocked the world by showing up at the Interior Ministry and registering his candidacy, Khamenei took his gloves off and had the Guardian Council specifically disqualify him and his protégé, Hamid Baqai. Despite their disagreements, Ahmadinejad and all other elements in the Iranian regime have one common red line: preventing the repeat of any scenario similar to that of the 2009 uprisings. Even Rafsanjani, with all his enmity against Khamenei, emphasized efforts must focus on safeguarding the mullahs’ framework. When a farce election is seen going down the drain in such manner, and disqualifications causing immense hardship for the ruling elite, even a supposed victory for the incumbent President Hassan Rouhani would score defeat for the entire regime apparatus. The selection of Ebrahim Raisi, Khamenei’s protégé and most likely candidate for to success his position, also fails to make matters easier. This is an establishment that cannot tolerate polarization of any nature. All issues must be pursued based on the will of the supreme leader. This is exactly why the entire regime suffers when the supreme leader’s image is tarnished. To make matters far worse for Khamenei and his regime, the Iranian opposition National Council of Resistance of Iran (NCRI), an umbrella group of various individuals and organizations seeking democratic regime change in Iran, has described these so-called elections as a selection between a criminal, being Raisi, and a devious figure, being Rouhani. The word “election” has no true definition in the Iranian regime’s encyclopedia. The farce represented by the mullahs’ to the outside world is merely an intense power-grab competition amongst the regime’s ruling elite. Senior regime officials have also been heard saying their 38-year long beliefs have all vanished. This plays into the interest of the Iranian opposition. Khamenei, who placed all his support and prestige behind Ahmadinejad, now orders his disqualification. This can only mean his weakening posture and the Iranian democratic movement elevating its influence in determining Iran’s future. 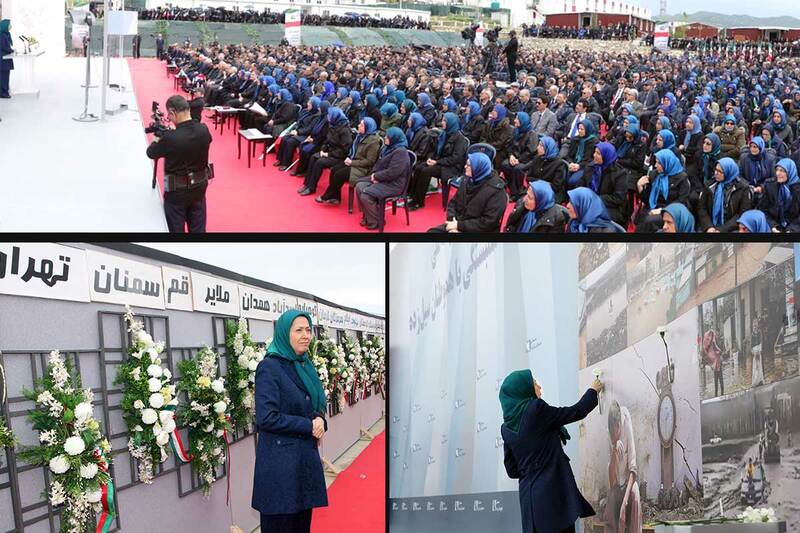 When Senator John McCain, a very influential and senior American politician, visits members of the People’s Mojahedin Organization of Iran (PMOI/MEK), the largest group member of the NCRI, and Iranian opposition leader Maryam Rajavi in Albania recently, this is yet another reference to the possible solution for the Iran dilemma. And yet, unfortunately, there remain those who go the distance in describing such farce “elections” in Iran as a scene between populists and hardliners, the liberals against the conservatives. Such voices represent the pro-appeasement camp that continues to seek short-term economic interests through the engagement policy. Their definition of a liberal is Rouhani who during his tenure has presided over 3,000 executions, advanced Iran’s ballistic missile program publicly supported the carnage and massacres launched by Syrian dictator Bashar Assad against innocent civilians, and facilitated the regime’s clandestine effort to obtain nuclear weapons. 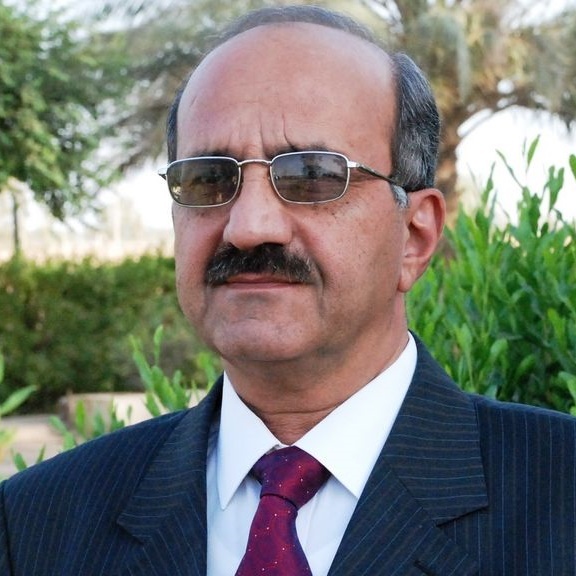 He is facing Raisi, a hardliner known as the member of the four-man “Death Commission” supervising the summer 1988 massacre of over 30,000 political prisoners, including mostly PMOI/MEK members and supporters. As a result, those who have, and continue to, campaign for a policy of rapprochement with Tehran, are truly legitimizing the Iranian regime’s belligerent domestic and international policies. The NCRI, on the other hand, has for decades warned the globe over Iran’s nuclear program, ballistic missile drive, its flagrant human rights violations, and Tehran’s relentless meddling in Syria, Iraq and beyond. Rest assured this movement will play a very key role in the fundamental developments shaping a democratic, secular and non-nuclear Iran. 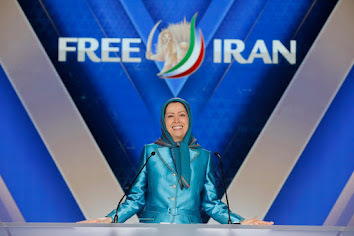 “I can say with respect about the MEK, I first heard about them about 15-16 years ago when they were releasing information about Iran’s nuclear weapons program. In that entire period of time I have never seen them make a material mistake about what they’ve said,” said John Bolton, former US ambassador to the United Nations, in a recent interview with Fox News. 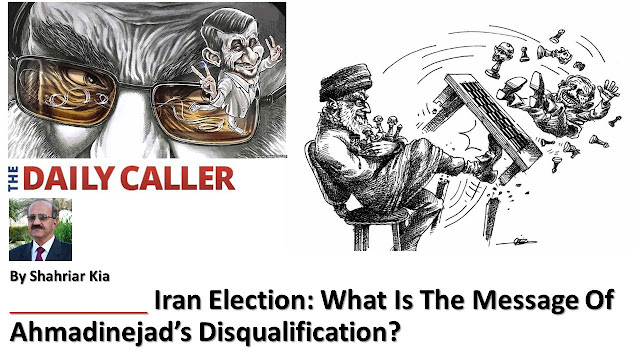 Source : Iran Election: What Is The Message Of Ahmadinejad’s Disqualification?